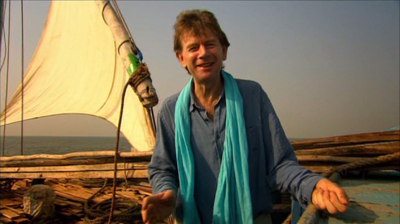 One of my favorite historians, Michael Wood, tells the fantastic history of India by visiting the places where it happens. Best of all, he describes the IDEAS that each place launched. 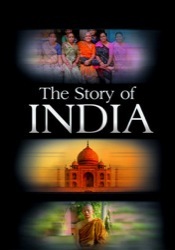 The story of India spans thousands of years and thousands of miles, and five episodes. Wood is both intelligent and genial, and deeply familiar with the subcontinent, so you get an incredibly insightful tour of this vast land. Wood takes you to unexpected corners deep inside the culture. 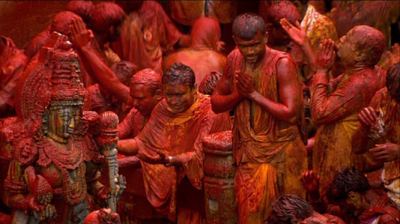 I’ve read a lot of Indian history, seen a fair number of documentaries about the country, and I have traveled extensively throughout India over many years. This is by far the best treatment of this still rising civilization I’ve seen. Mr Kelly, you just cost me Â£22. Now available as Instant Play on Netflix.